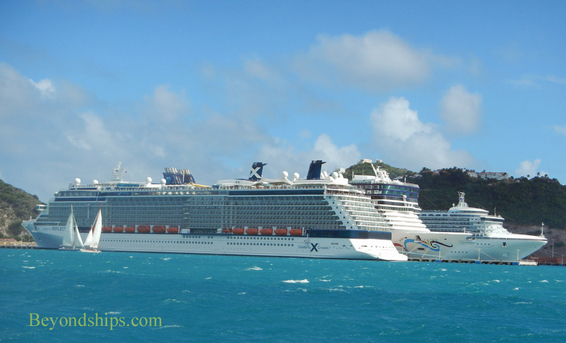 Above: Celebrity Reflection, Norwegian Epic and Grand Princess at the Dr. A.C. Wathey Pier & Port Facility. 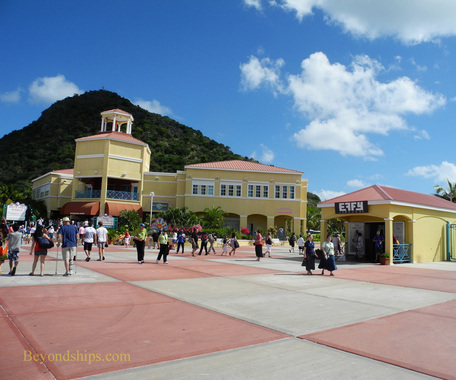 Above: At the center of the cruise complex is a large plaza that is dominated by a large building with duty free shops. Right: A statue of Dr. A.C. Wathey. Below: There are more shops in the buildings radiating out from the main plaza. Right: The piers at the cruise complex are quite long. 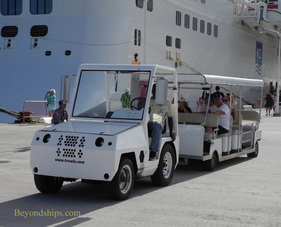 However, there is a shuttle to take passengers between the ships and the pier gates. Below: Looking across the plaza towards the piers. 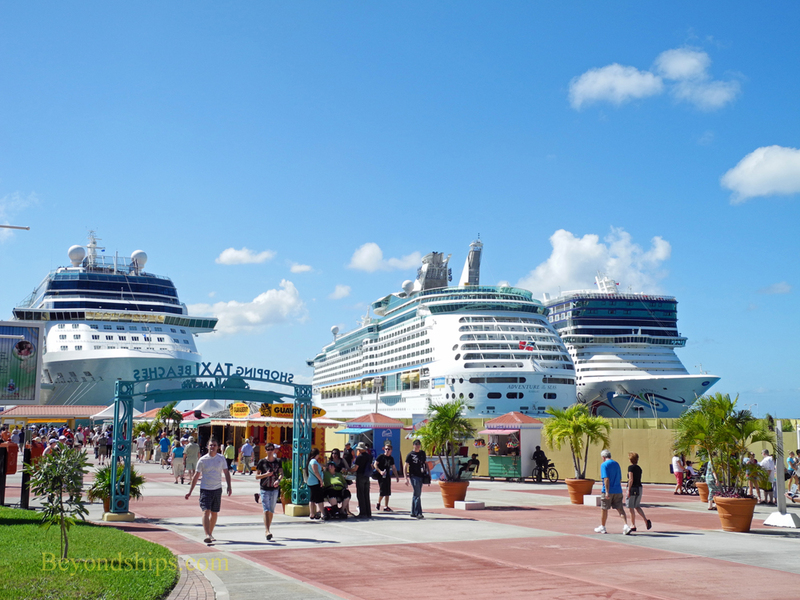 Left to right, Celebrity Eclipse, Adventure of the Seas and Norwegian Epic. 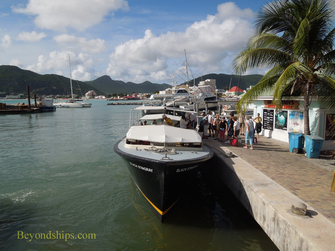 St. Maarten is one of the busiest cruise ports in the Caribbean. In 1980, 105,000 cruise passengers visited the island. By 2002, that number had grown to over one million cruise passengers a year -- and that was before St. Maarten constructed a second cruise ship pier. Today, the island has a state-of-the-art cruise ship complex. 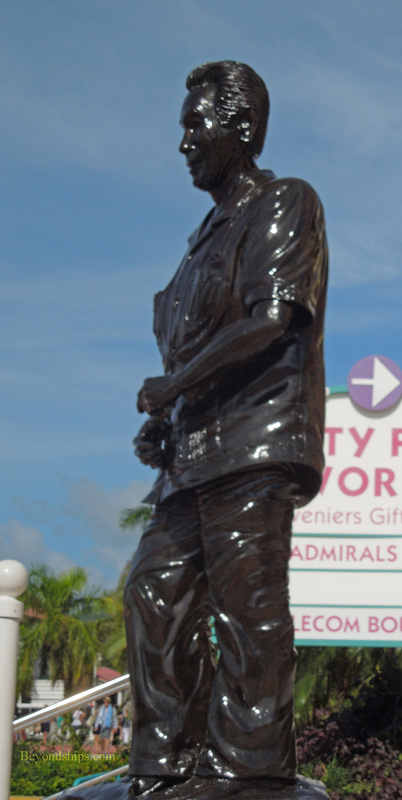 It is named after Dr. A.C. Wathey, who foresaw that tourism was the key to transforming the island's economy. Located on the eastern side of the Great Bay, the complex includes two large piers and numerous duty free shops. There is also an area for taxis and an area for shore excursion vehicles (often mini-vans). The cruise complex is located about a 20-minute walk from downtown Phillipsburg. 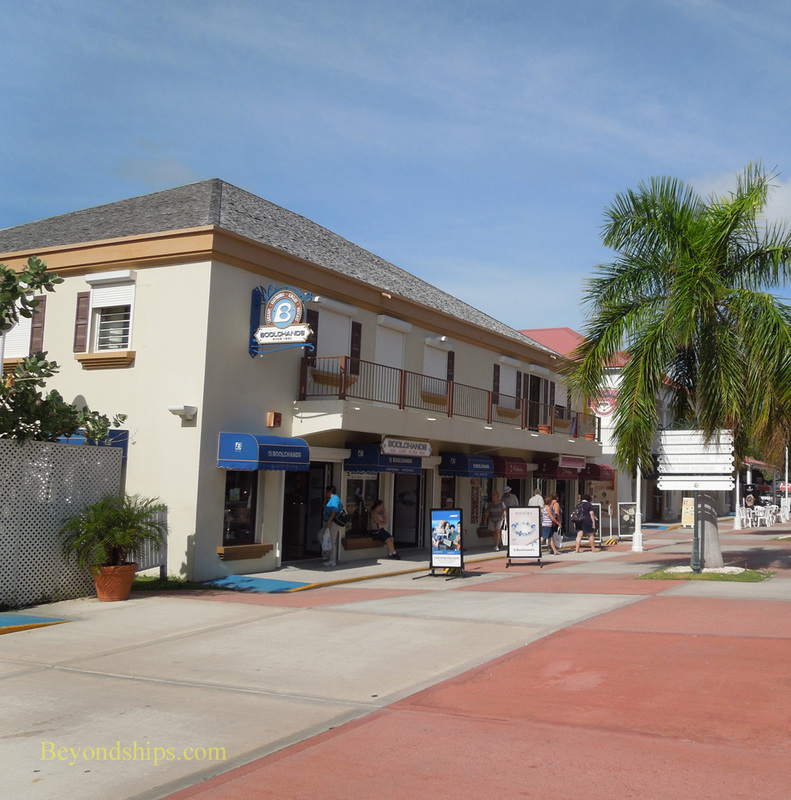 There is a sidewalk that takes you from just outside the cruise complex to the Bobby's Marina area at the eastern end of downtown Phillipsburg. Another popular alternative is the water taxi. It runs from the cruise complex to Bobby's Marina and to the Town Pier in the center of the Phillipsburg boardwalk. As of this writing, the fare is $7.00 for an all-day pass or $5.00 for a single ride. Above: A water taxi at the Bobby's Boat Basin stop. 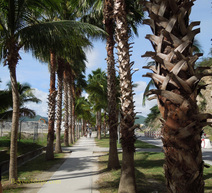 Right: The sidewalk leading from the cruise complex to downtown Phillipsburg.